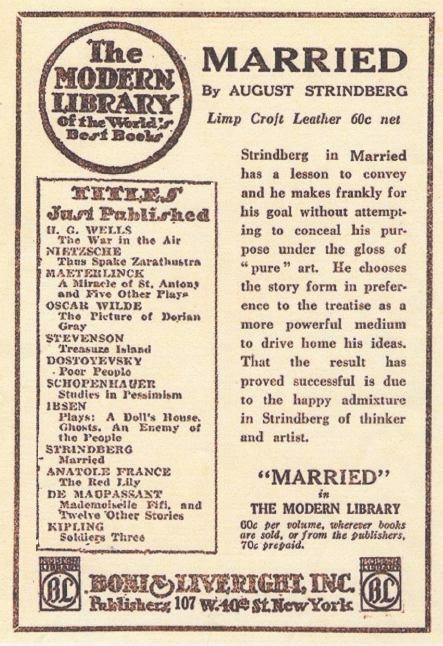 1917 - These ads are from the first year of the series. I especially like "Suggestion to Congress" - an ad disguised as an article. 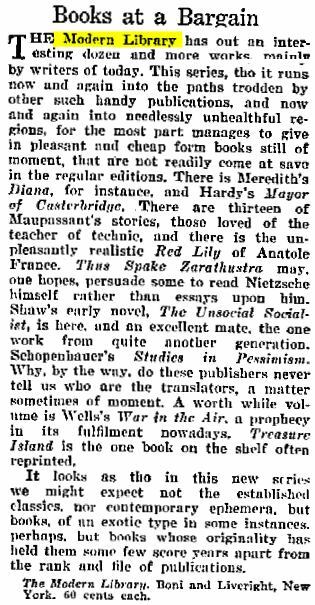 The "Books at a Bargain" item, on the other hand, is a real article from The Independent in praise of the new series. 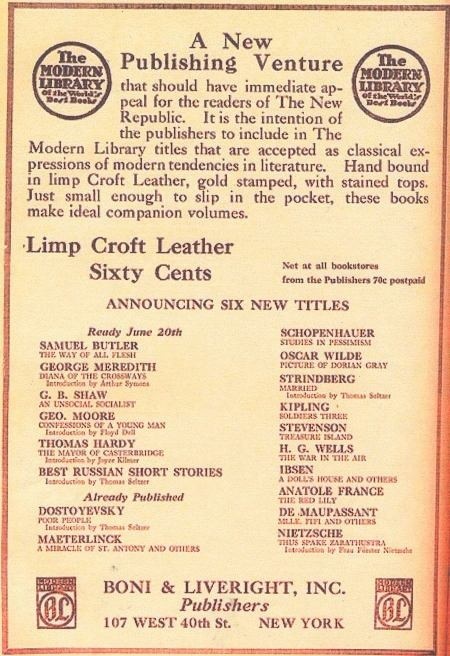 The original price was set at 60 cents/copy. 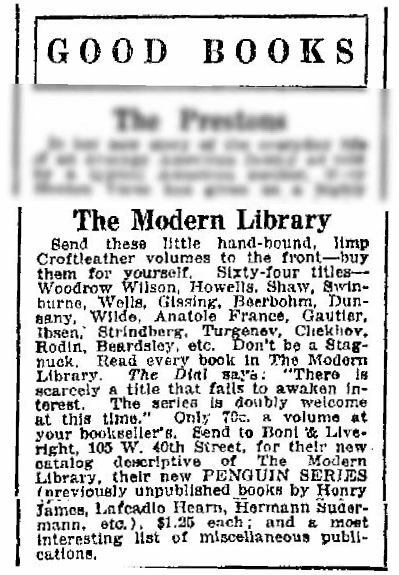 1918 - The ad on the left, another "advertisement/article" from February, brags that MLs are still available for 60 cents a volume in spite of pressure to raise prices. But the one on the right from a November Outlook (unrelated material blurred out) has the price at 70 cents a volume. (So much for bragging.) 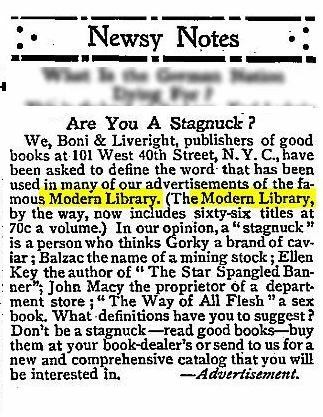 The ad at the bottom appears in the New York Times, but I also found it in the January 1919 issue of the Marxist magazine The Liberator. 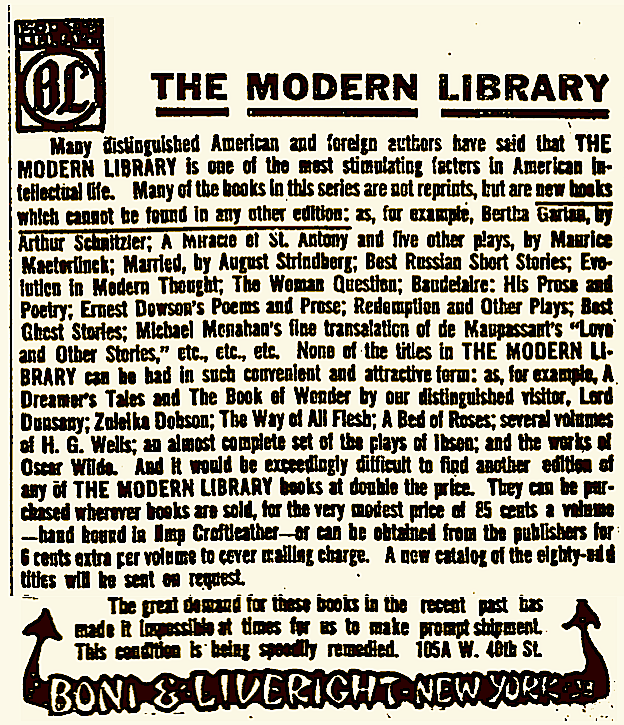 1919 - The left ad is from The Dial, one of the most important literary magazines of the age. 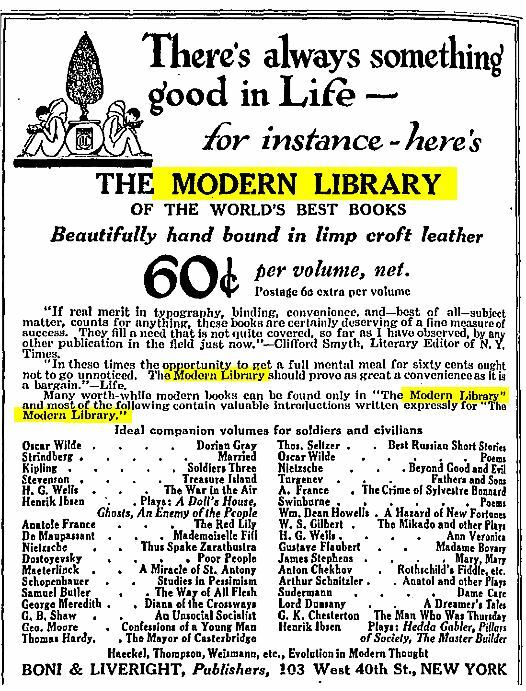 Note the Liveright logo at the lower right corner. 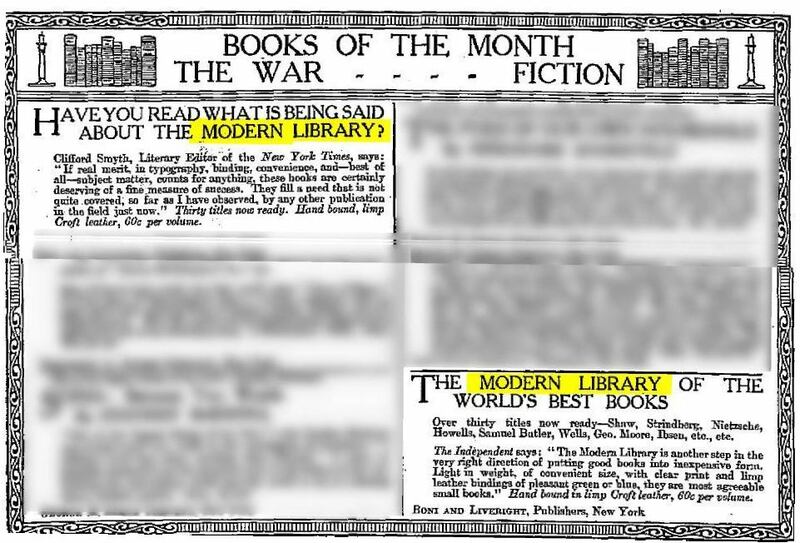 (I wonder if this was the right-half of a two-page ad, the one on the left having a "B" Boni logo.) 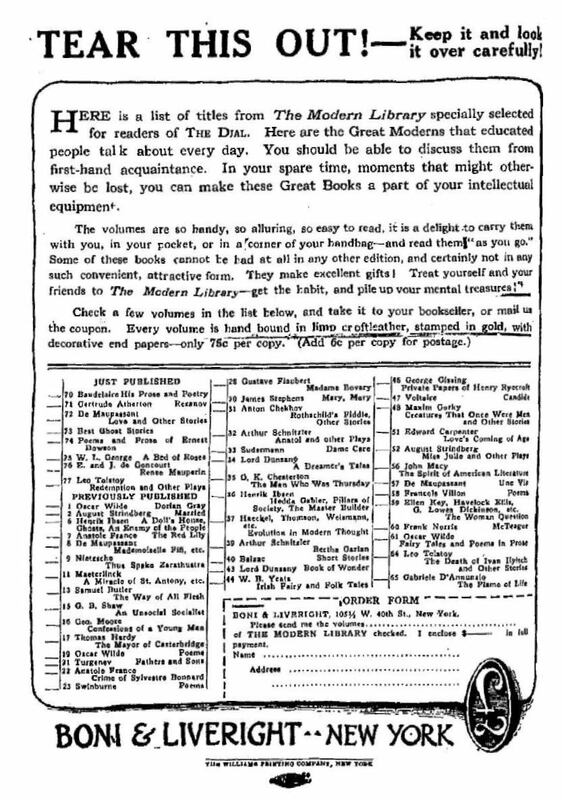 Also note in the enlarged view for the ad on the left the price of 75 cents a copy; the one on the right shows 85 cents a copy. 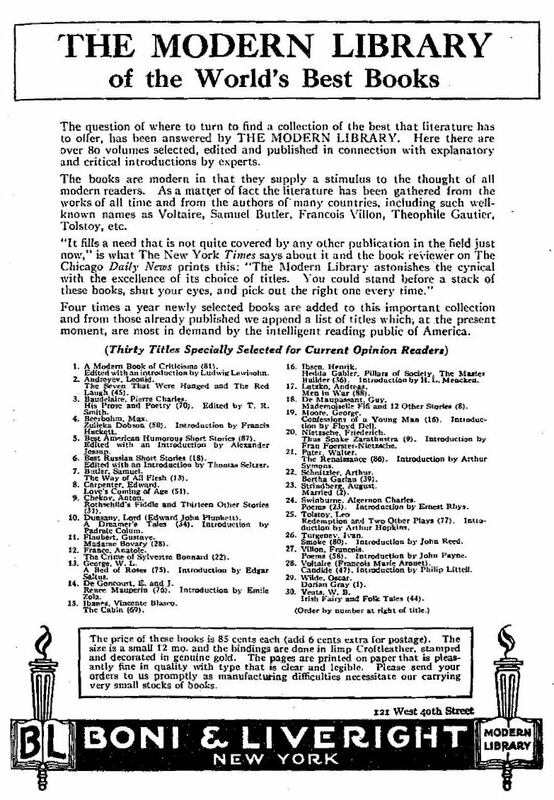 1920 - This ad is from the May issue of Current Opinion. Torches in the logos! 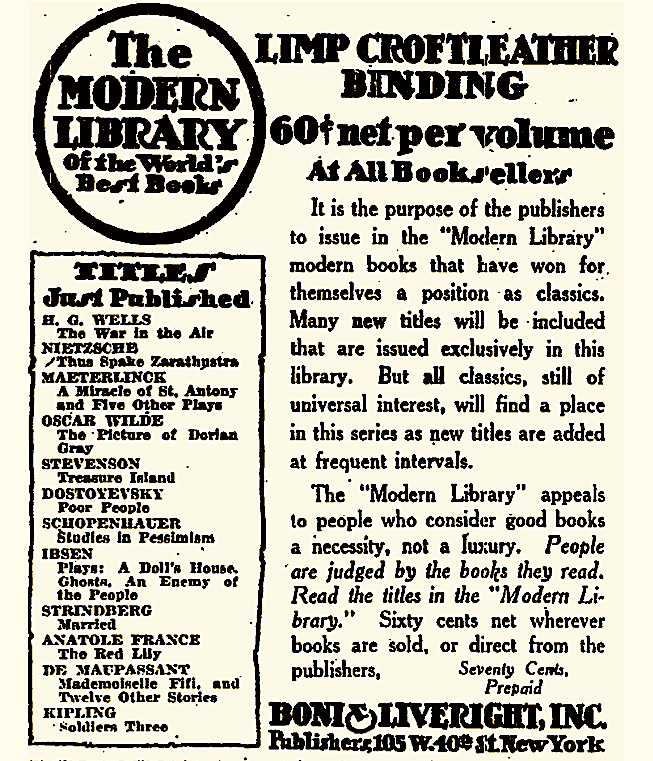 The price is now 85 cents per copy.